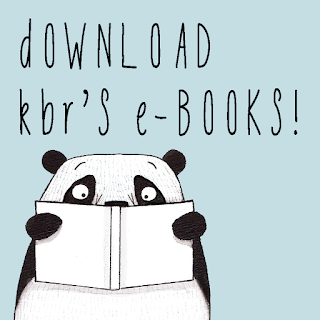 The team at KBR comprises authors, illustrators, publishers, editors, librarians, freelance writers, teachers, early childhood specialists, mums and--among other things--complete book nuts. We not only love--but like to think we know--books. The following questions were asked to the following team members individually, and it's fascinating how parallel the responses are. We hope you enjoy them. And if you agree or disagree, leave a comment! Tania: Something that first entertains, then enlightens, enchants and educates--perhaps in that order. Dimity: Emotion. It’s what kids naturally exhibit and respond to, without thinking. Jo: A strong emotional core that pulls the heart through every moment, to a satisfying end. Anastasia: Any book that makes a child reach for another. Penny: Language and illustrations that sparkle with humour, emotion and imagination. Shaye: For me, it’s a story that grabs you and doesn’t let you let go. Sarah W: Engaging story. Relatable characters children can connect to. Sally: Humour. I also like rhyme. What should books do for children? Tania: Uplift, inspire, comfort, delight. Take them to faraway places. Impart a sense of wonder and curiosity. Dimity: Evoke something albeit joy, wonder, excitement or curiosity. Jo: Give them a wonderful experience and a hunger to come back for more. Anastasia: Entertain, educate, satisfy, and inspire. Penny: Inspire, thrill, engage, transport, delight. Sarah W: Inspire imagination and challenge thinking. Sally: Help them to learn about the world around them. Offer them different perspectives and give them something to think about beyond the book. What makes for striking illustration? Tania: Beauty, thoughtfulness, nuance, visual narrative. Pro work from accomplished artists. 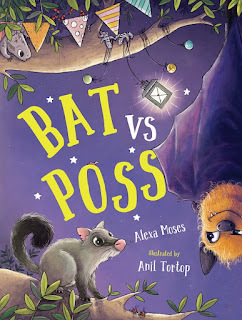 I get frustrated by unprofessional or even 'average' children’s book art; it’s like someone coughing at the cinema—it takes the reader out of the story. Dimity: Spontaneity and heart. I am also a massive fan of whimsy to relay emotion. Jo: That depends on the age of the child it is meant for. Bold colours and strong outlines for 1 to 2 ½ years. More details for children who are 3 years +. Anastasia: Illustrations that give a broader view of what’s going on, rather than just a translation of the text. Penny: Thoughtful use of colour, expression and movement. Shaye: I love a combination of colour, quirkiness and cuteness. Sarah W: Images that elicit an emotional response and spark imagination. Sally: Simple, limited colour is my personal preference. Are there too many illustrated chapter books? Tania: Never. Children read differently now, and visual narrative/comprehension is huge. Illustrated works help kids who struggle to read. Plus, who doesn’t love a bit of art with their words? Who??? Dimity: Definitely not! In today’s visually-orientated and attention-challenging environment, visual narrative is increasingly more important to include as part of their literary experiences. Jo: Never. They are too much fun. Anastasia: I don’t think so. Reluctant readers need the visual support illustrations present to keep them interested. Penny: I don’t think so. They’re such a crucial step in a child’s reading journey. Shaye: No way! Illustrated chapter books are the best transition for kids moving from picture books to longer novels. Sarah W: No, they have a place. They encourage reluctant readers and can bring joy to confident readers. Sally: Gosh no! I think they are great. What makes for a great character? 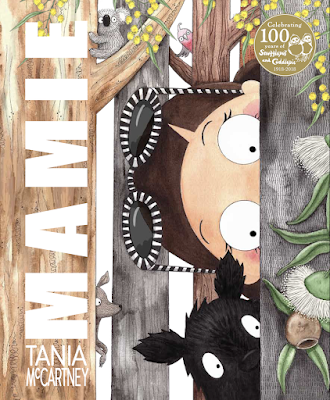 Tania: Complexity and flaws—even for very young readers. Quirks. Surprises. Irreverence. Dimity: Genuineness and vulnerability. Characters who make readers feel something for them become more real than real and therefore unforgettable. I think birds make great characters, too! There should be more of them. Jo: Quirky strengths and weaknesses, and a great big huggable personality. Anastasia: Someone you can empathise with or dislike intensely. Penny: Relatable traits, a touch of quirk or whimsy, a few flaws and an authentic voice. Shaye: I love characters with inner strength (whether they know it’s there or not). Sarah W: One that is relatable yet unique, with whom the reader is emotionally invested. Sally: Connection—the reader needs to feel like they can relate to the character in some way. Do characters need to be likeable? Tania: Not at all. But even the most unlikeable characters have something we like about them... perhaps a small vulnerability or some backstory that makes us feel sorry for them. Dimity: No, but neither should they be infallible. Jo: Not at all. Bad guys can be favourites (think Despicable Me). There is always an emotional core. Anastasia: No. The best ones are the ones the reader loves to hate. Penny: Yes, mostly, but that doesn’t mean they need to be good! Shaye: I think some part of them needs to be likable, but certainly not all of them. Everyone has flaws. Sarah W: No, likability is subjective. As long as the reader is invested enough to care what happens to them. What do you think of books with morals? Tania: Ugh. If there’s going to be any open messaging (I think all stories have some kind of inherent messaging), it should be either imperceptible or all-out-crazy and ripped-off-like-a-band-aid. Think Jon Klassen’s I Want My Hat Back or the classic cautionary tales or yore. Dimity: I love a story that makes you think, question and go ahh, but if a message is rammed too forcibly and too obviously in front of me, it’s an immediate turn off. Morals are fine. It’s their subtle infusion into a story that increases their effectiveness rather than being hit over the head with them. Jo: Not much. No one likes being preached at. Anastasia: They teach children alternate ways of thinking. Penny: They need to be done so beautifully and cleverly that you don’t even realise there’s a moral in there! Shaye: Morals are great, but they should be as invisible as possible. Sarah W: Many children’s books contain morals in a subtle way but if it is too didactic children will reject it (and adults won’t read it to them). Sally: Hmmmmm, I like messages in books, but I cringe at obvious moralising. Do picture books need strong plot lines? Tania: Concept books, not so much, but most others, yes. The thing about plot is that it can be incredibly basic for young readers, and even imperceptible, but it still needs to be accomplished. I think picture books fail when they don’t have a deeply-thought-out foundation. They have nothing to cling to, and tend to encompass too many average ideas rather than one strong idea. Dimity: A picture book plot line can be infinitely subtle to the point of non-existence yet still pack a punch because of its affiliation with the visual narrative. Each combine to create a web of nuances that when pulled together, should be as strong and beautiful as spider’s silk. Jo: Not necessarily. A strong character story is as powerful as a well-plotted tale. Anastasia: Not necessarily. Interesting characters in a well-illustrated book often equals success. Penny: Not necessarily, as long as the illustrations and language are powerful enough to capture a child’s imagination and interest. Shaye: Not all of them. I love that some do and some don’t. Sarah W: Not necessarily but the story should bring the reader on a journey. Sally: No. It all depends on what the point of the book is. Is traditional story structure important? Tania: Depends on the genre, but I love it when creators break rules. I think publishing sometimes gets too caught up in rules, and such entrenched ways can stifle a story. It’s interesting that the most esteemed books often flagrantly break the rules, particularly in books for younger readers. Frankly, I love it. Dimity: I adore the non-linear structure of postmodern picture books but enjoy stories with solid traditional structures. Beginnings, middles and ends are the natural rhythm of life, and stories mirror this. Jo: I’m not one for following rules, so for me, no. Anastasia: Only as a guideline for the writer. Penny: There are some fabulous, quirky books with unique approaches. Shaye: Without structure, readers tend to lose interest, but there are lots of different ways to structure a story. It doesn’t have to be ‘traditional’. Sarah W: Not always. However, breaking with structure should be done with purpose. Sally: Different cultures have different traditional story structures. I think it’s important to be exposed to many story structures. Which children’s book elements completely engage you as an adult? Tania: Illustrations, illustrations, illustrations. Bravery. Thinking outside the square. Irreverence. Humour. Interactivity. Magic. Dimity: Suspense and humour. I especially love unexpected endings that make me chuckle. Jo: Those in which the characters feel real and their dilemmas are important to them. Anastasia: Messages that appear between the lines, things left unsaid but visible, and images that move me deeper than words. Penny: Bold and joyful illustrations with evocative language and an authentic voice. Shaye: I love a surprise ending, and a book that makes me laugh out loud will have gained a life-long fan. Sarah W: Language—beautiful and clever, with unique voice. Also, strong characterisation and striking Illustration. Sally: Messages that touch the soul really engage me. I have learnt a lot and have grown personally from reading picture books as an adult. They are not just for kids. What kind of books don’t work well? Tania: Moral- or message-driven books, for the most part. Messaging has to be almost imperceptible. 90% of rhyming books, because only a fraction do it well. Sap or schmaltz or books with ugly or substandard illustrations. For picture books, high word count (more than 500 words, 700 tops!). Dimity: Didactic ones. Far too dull and dry. No one really appreciates being told what to do or how to act, least of all kids. Jo: Those in which characters are not developed and there is not emotional core. Anastasia: Books that are beautifully presented but are without substance. Penny: Anything too didactic or forced. Shaye: For me, it’s books that move too slowly. Action doesn’t have to be explosions and car chases, but something that grips me. Sarah W: Books that are too didactic and books that talk down to children and patronise them. Sally: Didactic, badly written rhyme and too many words. I usually do a flick through before I will read a picture book and if the pages are covered in words, I won’t even bother to read it. What book genre do you favour? Tania: Picture books. Wordless books. Middle fiction magical realism. Jo: I can’t choose! I love them all! Anastasia: I love everything with a historical thread through it. 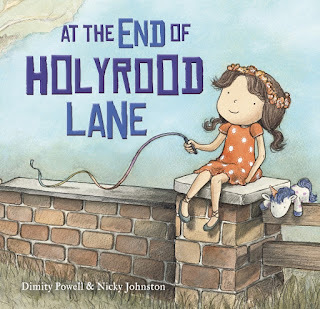 Penny: Picture books and junior fiction. Shaye: Science fiction and fantasy. 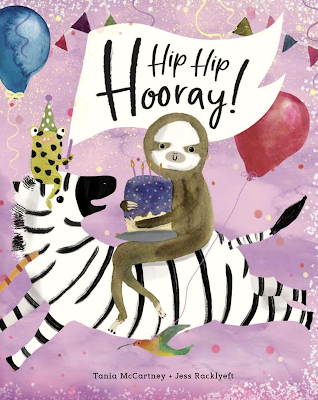 Sarah W: I have a lifelong love of picture books but I’m currently enjoying middle grade adventure and mysteries (particularly historical) to keep up with my kids. What kind of books do we need more of? Tania: Wordless books. A focus on visual literacy is my prediction these coming years. Cultural diversity in both authorship and themes--we can never have enough. Books that shun tradition, think outside the square and surprise us. 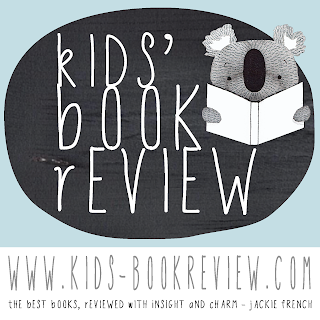 Dimity: Picture books. They can will save the world. Jo: Well-written tales with strong female characters. Anastasia: Books for middle grade readers, particularly boys. Penny: Children’s books with diverse characters. Shaye: All books in all genres and for all ages. There can never be enough books because the ones I like aren’t necessarily the ones you like. Sarah W: Those willing to challenge traditional thinking. Which children’s book topics are particularly hot right now? Tania: Diversity. Girl power. Multiculturalism. STEM topics. Quirky, lusciously-illustrated and detailed non-fiction. Graphic design-style illustration. 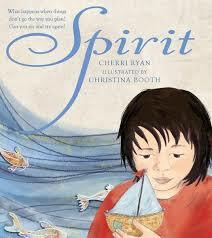 Dimity: There appears to be more of an appreciation of postmodern, interactive picture books right now. And a rise of feuding animals and mythical creatures. Fantasy is still hot which is no surprise as children love to dwell within it. I think there are more and more titles showing less and less apprehension about the supposed ‘too hot to handle’ topics such as social issues, (tragic) deaths, family violence, animal rights and so on. Anastasia: Migrants fleeing their country, and their life stories. Penny: Family, strong girls, emotions and mental health, nature. Shaye: Because we seek out the types of books we like, I think it always appears as if these books are hot in the market. I’m reading a lot of silly, funny and quirky books because that’s what I’m loving right now. Sarah W: Diverse voices, unique perspectives, females in powerful roles. Sally: Books with strong female characters—girls can do anything! Why is diversity important in children’s literature? Tania: Because childhood is the first stop when it comes to preventing bigotry, closed-mindedness and racism. We need to get ‘em while they’re young and fresh! 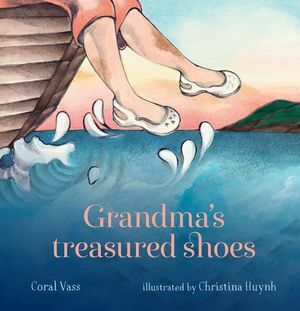 We also need to inspire story within cultures, to help children feel that glorious sense of cultural belonging, and of course, highlight the complete life-changing beauty of various cultures, ethnicities and backgrounds around the world. Dimity: Because without it, children are unable to recognise not only their situations in stories but also those of others around them. This awareness increases tolerance, empathy, understanding and ultimately caring. If enough people in a community care, change can eventuate. Diversity in children’s literature is a powerful pebble to cast into the pond of humanity. Jo: Everyone needs to be able to see themselves as heroes in stories. Diverse characters let typical kids explore unexpected worlds, too. Anastasia: Australia is full of diversity. Children need to learn about and understand the world they’re growing up in. Penny: We live in a wonderfully diverse world (and country) and children’s books need to reflect that; not as a specific genre but as a matter of course. It’s important for teaching our children empathy, compassion and unity. Shaye: Kids need to hear, see and learn in lots of different ways that we are all different and being different is a good thing. Sarah W: It expands children’s perspectives and viewpoints. Sally: It helps to build a tolerant and a peaceful society, where differences are respected. Name three children’s book creators that you admire. Dimity: Markus Zusak – exquisite story teller, Stephen Michael King – magical image maker and author, and Peter Carnavas – ability to move you with one simple word or brush stroke. Jo: Lian Tanner, Kate Dicamillo, Cally Black. Penny: Ooh, way too hard. 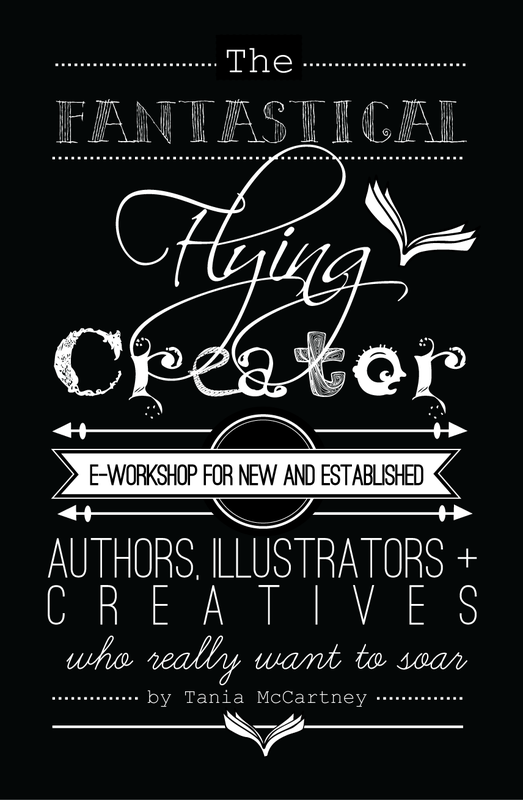 There are so many incredible creators out there. Shaye: Only three? I’ll go with Simon Philip, Tania McCartney and Isobelle Carmody, but there are so many more. 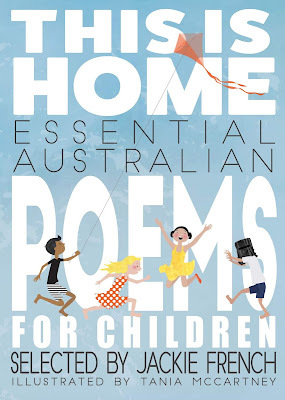 Sarah W: Roald Dahl, Mem Fox, Lynley Dodd. Sally: Oliver Jeffers, Jon Klassen, Steven Michael King. Name two or three of your favourite children’s books of all time. Tania: What kind of question is that??? Here’s ‘three’ (I’m cheating, as two are a series): The Chronicles of Narnia by CS Lewis, the This Is… series by Miroslav Sasek, Marguerite’s Christmas by India Desjardins and Pascal Blanchet. I sat silently for 10 minutes after reading this book. It had such a deep effect on me. And the illustrations… bananas brilliant. Dimity: All of Elyne Mitchell’s Silver Brumby series, Le Petit Prince by Antoine de Saint-Exupéry, The Duck and the Darklings by Glenda Millard and Stephen Michael King. Jo: Because of Winn Dixie by Kate DiCamillo. Anastasia: This is a hard one. I love so many! But here are only three of my favourites. The Savage by David Almond, Buffalo Soldier by Tanya Landman, Small Things by Mel Tregonning. 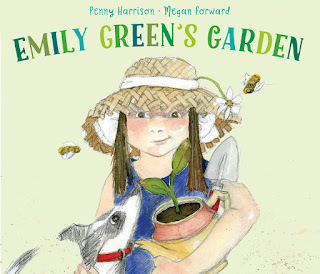 Penny: The Plant Sitter, by Gene Zion and Margaret Bloy Graham, Perfect by Danny Parker and Freya Blackwood, and Sally’s Secret, by Shirley Hughes. Shaye: Soooo hard to answer, but I’ll say Obernewtyn by Isobelle Carmody, Tomorrow, When the War Began by James Marsden and Paper Dolls by Julia Donaldson because they still give me chills every time I read them. Sarah W: The Very Hungry Caterpillar by Eric Carle, A Little Princess by Frances Hodgson Burnett, Matilda by Roald Dahl. Sally: The Secret Garden by Frances Hodgson Burnett, Pezzettino by Leo Lionni, This is Not My Hat by Jon Klassen.